Having trouble choosing the perfect gift or just fancy giving someone a nice surprise? 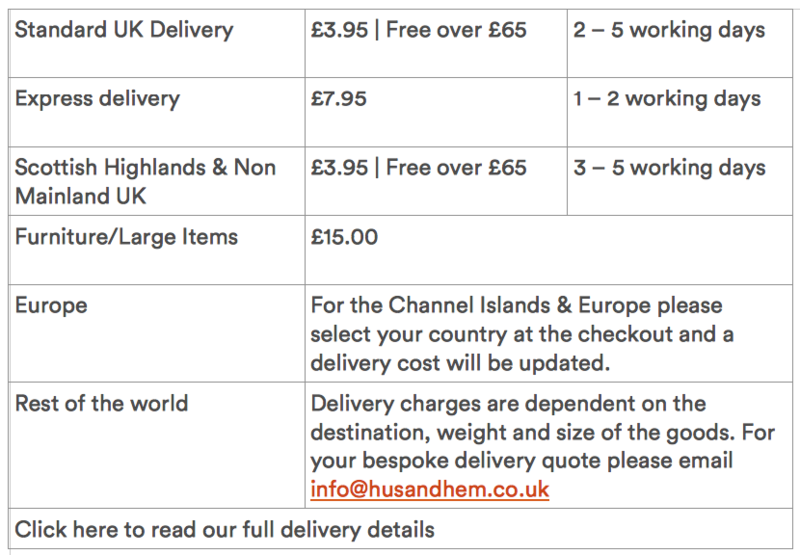 Why not choose a Hus & Hem Gift Voucher. Printed with "for you to buy something that you love", our vouchers are presented in a bright orange envelope, and are valid for two years.